Paris is a city forever linked with certain images in the minds of the citizens of the world. 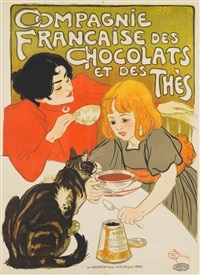 Le Chat Noir is one of the most recognizable. We see the beautiful, proud feline in posters, bags, notebooks, umbrellas, earring (…guilty of that…). We all admire its elegance of a bygone era. 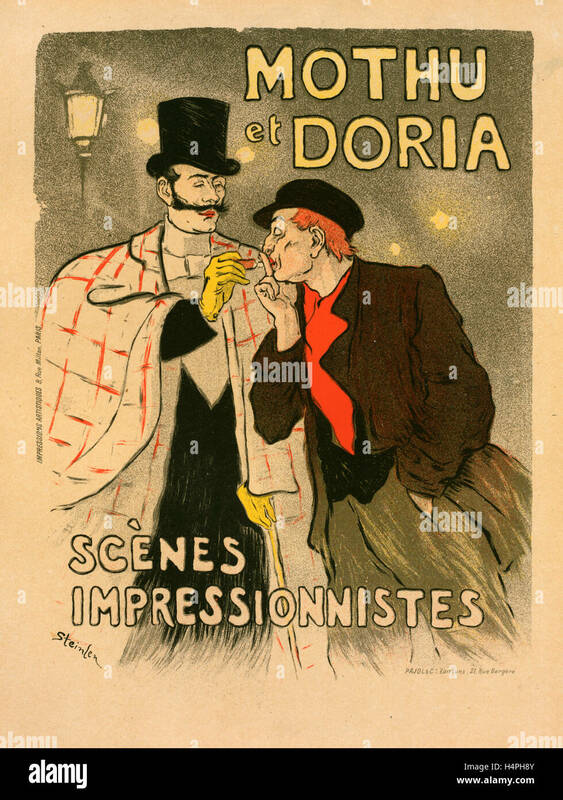 However, how many of us know the artist who produces some of the most characteristic images that represent the unique Parisian flair to perfection? 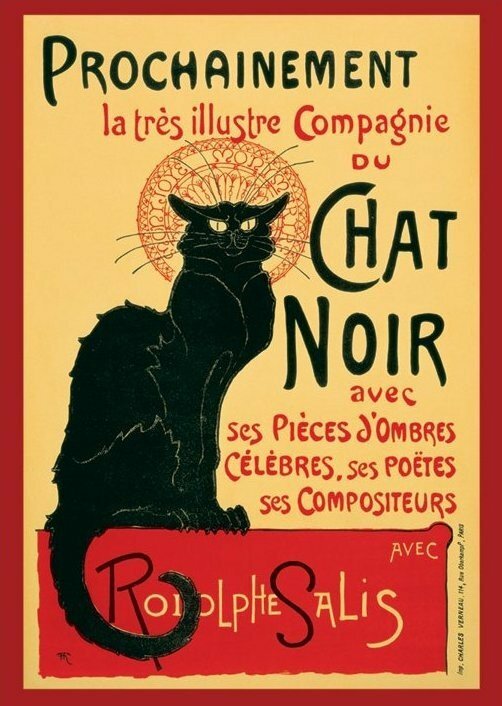 This is a beautiful book on Théophile-Alexandre Steinlen, the artist who loved cats and the ordinary people who called the City of Light their ‘’home’’. It is simple and elegant because it aims to familiarise children with one of the most particular European artists and it is mighty successful. 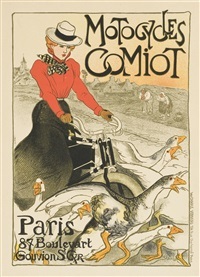 The Swiss-born French painter is one of the most well-known Art Nouveau artists and one of the first to depict the darker, realistic side of Montmartre. Faithful to the demands of the era, he painted landscapes and nudes but it is people and animals that inspired his work. 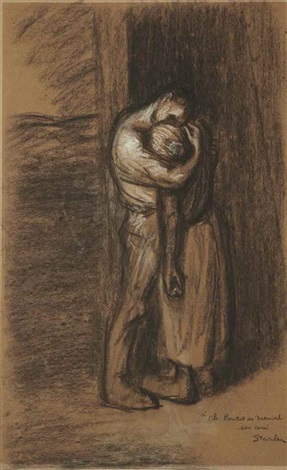 Characters that seemed to have been sprung from the novels of Émile Zola became a favourite subject for an artist who had to work in a very tense and dark era during the Great War. This lovely book, written in rhyme, doesn’t touch on the details of Steinlein’s life but decides to refer to his love for cats, the masters of the animal kingdom. 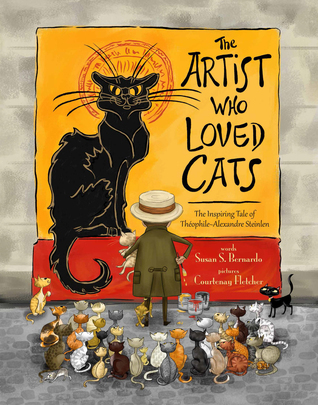 In beautiful, vivid, old-fashioned illustrations by Courtenay Fletcher, Antoinette discovers the secrets of an artist and its vision, guided by a very clever cat. Walk in the streets of Montmartre and let your eyes take in the unique atmosphere of a place filled with Art and life. 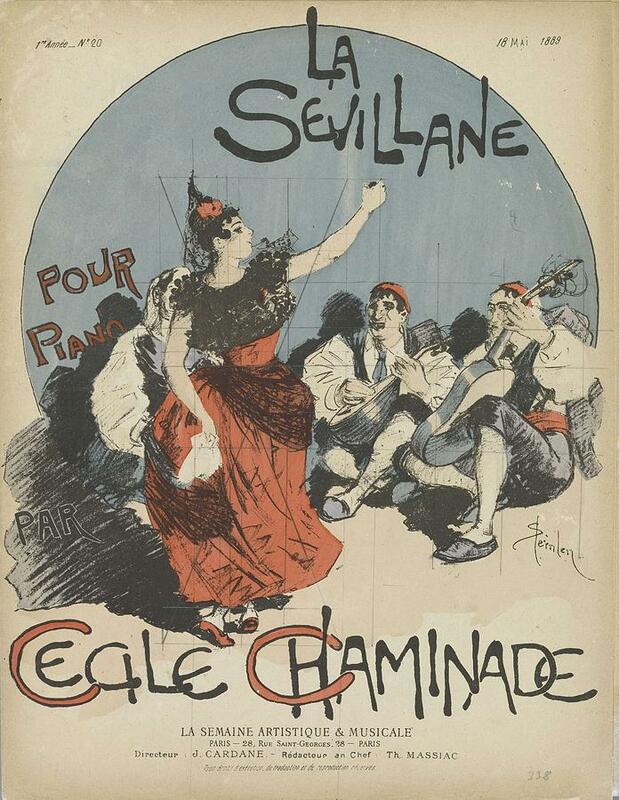 Feel your heart breaking in front of Gaudeamus, dance in a dimly lit cabaret, drink with Toulouse- Lautrec, Erik Satie, and Jane Anvil, but don’t disturb Maurice Ravel who is composing his immortal masterpiece, Bolero. A beautiful gift to the children of the world. Many thanks to Inner Flower Child Books and NetGalley for the ARC in exchange for an honest review.